SWEET FLAG is used by the Dusun (Borneo) shamaness, who exploits the narcotic nature of the rhizome to contact certain beings. For a further description of the ritual, see under SWEET FLAG. Siberian shamans would use MARSH ROSEMARY to achieve trance state. It was done by inhaling the smoke of this shrub (or some other resinous plant). Some dried stalks or leaves would be put on some glowing embers on an iron plate, and the shaman would bend over the smoke produced, which would be dense and strong-smelling (Balazs). BULRUSH pollen was a sacred substance to the San Carlos Apache, where the medicine man would rub it on the affected parts of his patients, and then sing, after which he would extract the disease in the usual sucking way of a shaman. Sometimes he would put a little pollen in the patient's mouth (Youngken). Some of the South American hallucinogens, Banisteriopsis caapi, for instance, are used by shamans to diagnose an illness or divine its cure, or to establish the identity of an enemy (Reichel-Dolmatoff). Herodotus mentions HEMP in describing the funeral rites of the Scythians. He talked of the way they purified themselves after the burial by putting hemp seed on hot stones inside a small felt-covered structure, and inhaling the smoke it produced. This procedure must have been a form of shamanism, for the smoke of the hemp seeds would produce a trancestate in those inhaling it (Balazs). Yaqui shamans used SCOTCH BROOM flowers, smoked as cigarettes. 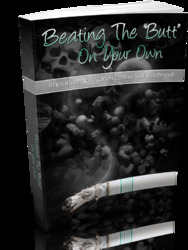 After several cigarettes, the desired "long relaxation, intellectual clarity and physical ease, coupled with psychological alertness" would be achieved (Emboden. 1979).